The Book Mom's Reviews! 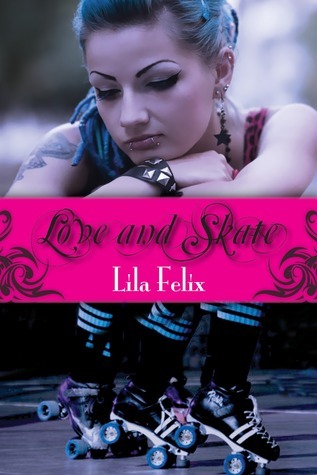 : Lila Felix Love and Skate Blog Tour! : Love and Skate Review w/ Giveaway!! Lila Felix Love and Skate Blog Tour! : Love and Skate Review w/ Giveaway!! Nellie is hell on wheels, hence her nickname, "Hellie". She's got tattoo's and piercings and loves to Roller Derby, much to her mother's disdain. She used to be different, but then she had a boyfriend that deemed her to be "too good" that dumped her for her old best friend and has been popping out kids every since. So she decided to have fun. Now, she's captain of her roller derby team, bruises and cuts a plenty that go along with it and she should feel complete. But she's lonely. That's when Owen walks into her life. Owen is her match, tattoos and all. Right away, once they stop "Stalking" each other and get to know each other, they have a connection and her best friend hooking up with his gives them the perfect excuse to spend extra time together. Owen had the good life, until the accident that messed it all up and slowly made his family drift apart. There's not many girls who want him with all his piercings and tattoos, but Nellie is different. He knows that from the moment she offered him a piece of gum. Even with her ever changing hair color, he falls hard fast and she does too. They may look like total punks, but with each other, they are gentle and loving and the center of each others world. No matter what the past might hold, they skate towards the future holding on to each other for their happily after. Lila Felix made the decision to write a book after being encouraged by friends. 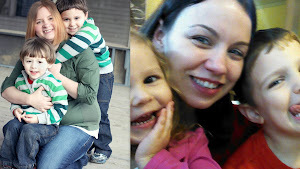 She is a stay at home mom to three wild children and three boisterous dogs. Between writing books she loves read and watch sappy 80's movies. Favorite things: ice cream, anything purple, roller derby and any kind of music she can get her hands on. If you're looking for her, try looking under Cypress trees in the swamps of Louisiana. Want to win these books among other prizes? Enter the Giveaway! Skateboarding is a kind of sports that every one love . Smash Into You by Shelly Crane Cover Reveal! You Can Now Follow Us on Blog Lovin'! Some great books to check out! The Haunting Season Blog Tour w/ Giveaway! Indie books to check out! Lisa Renee Jones Blog Feature! Obsession by Jennifer Armentrout Cover Reveal! Let's play a game! - Who should it be? Lila Felix Blog Tour is here tomorrow!